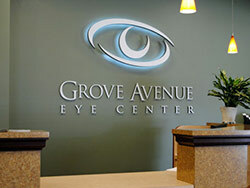 We provide sign installation, survey work, permitting and maintenance services to national sign companies. We fabricate custom signs for companies in Ventura, Santa Barbara, and Los Angeles Counties; and Nationwide. At Dave’s Signs, we’ve built our reputation on producing high-quality signs. Whether you need a simple banner or large-scale architectural signs, we’re highly trained and experienced in professional sign fabrication. If you’re a business that needs signs made for one or more location or a national sign company that needs signs made and installed locally; or even nationwide. Let Dave’s Signs create affordable and beautiful signs for your business.